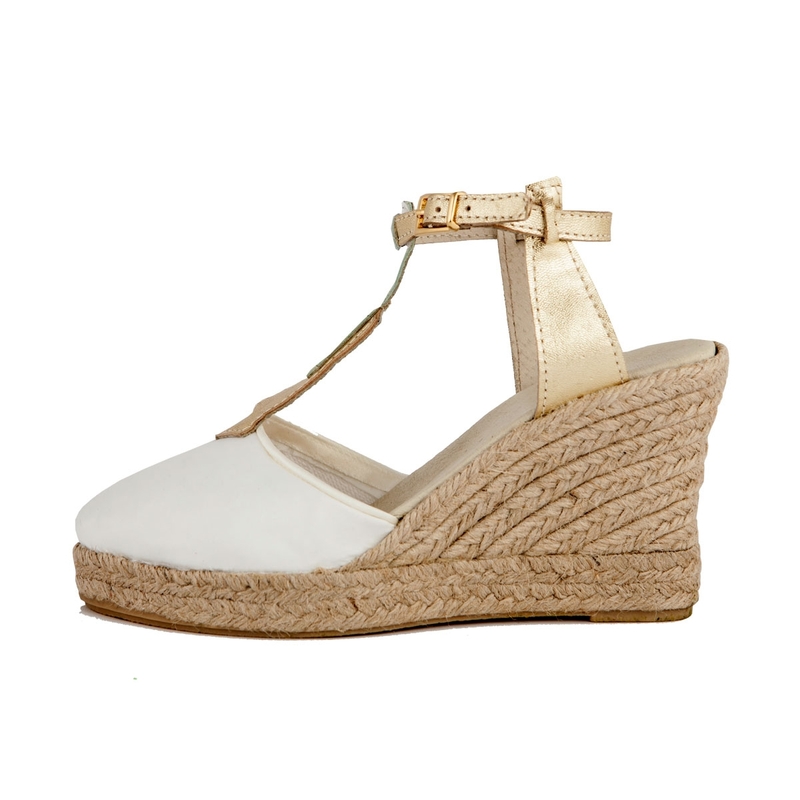 Canvas espadrille with the fore part covered in satin color broken white. 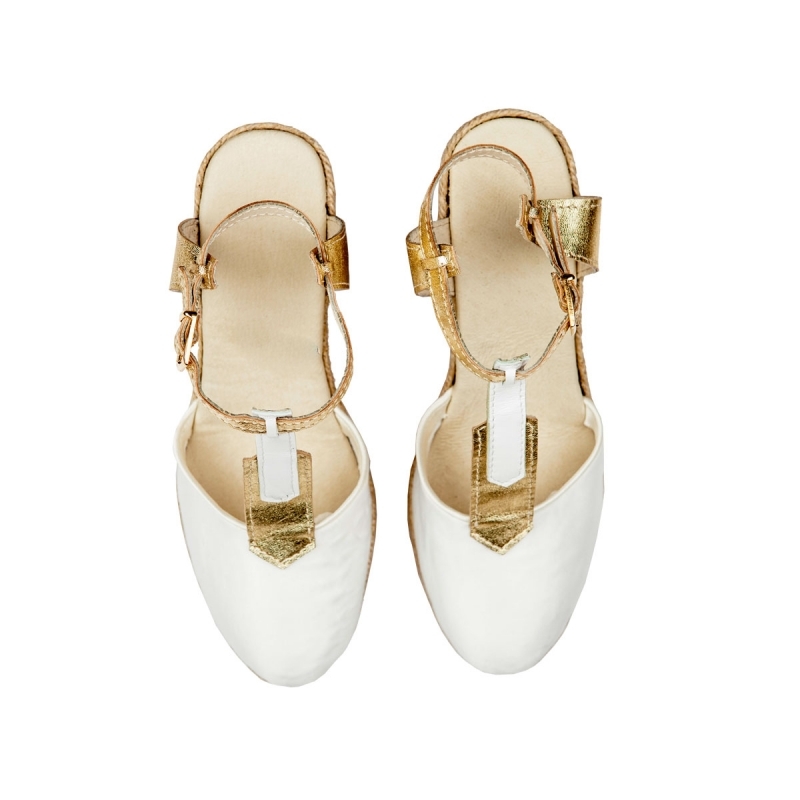 Ties with gold leather strap and gold buckle. Ivory leather insole. 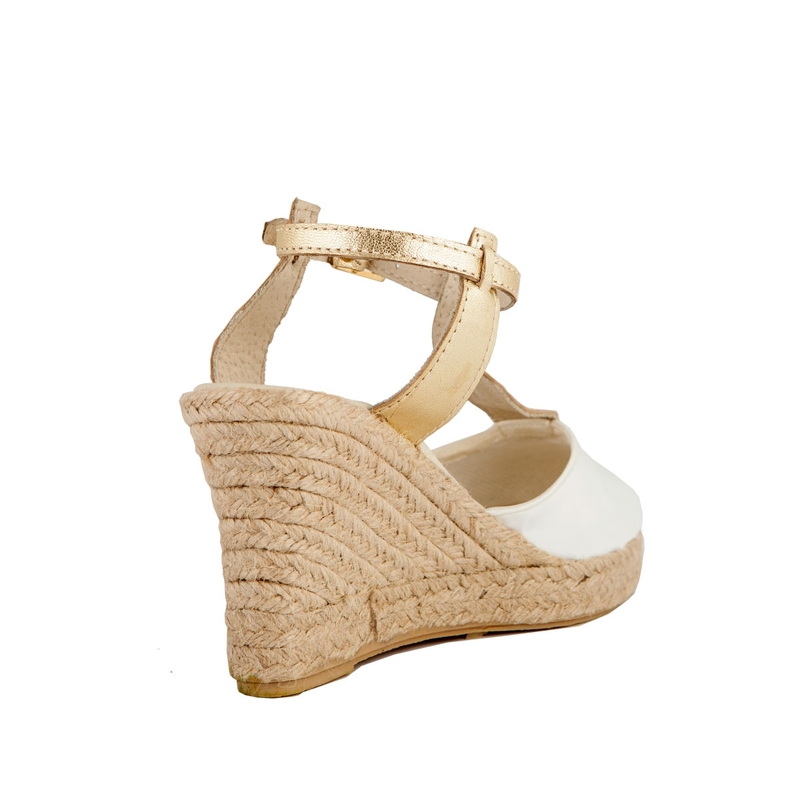 Wedge 9.5 cm high (7 ropes) and 2 cm front platform made in jute braid. Jute sole with a protective rubber finish.